Custom Silicone Bracelets are made of non-toxic silicone and are the popular choice for awareness campaigns, school spirit, teams, fundraisers, and fighting for a cause. 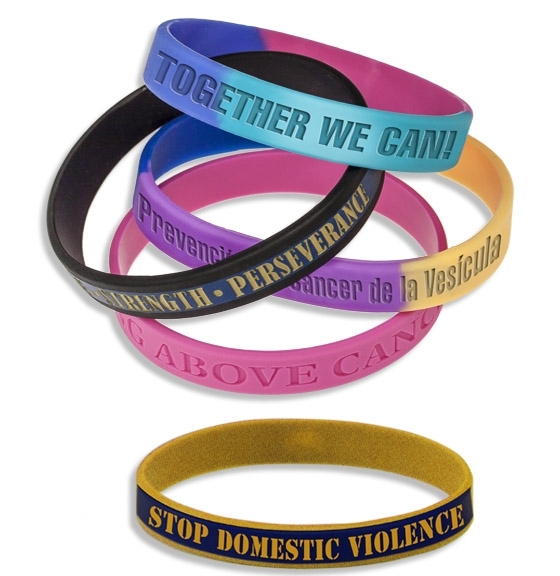 Assorted wristband colors are available, with classic debossed imprint. PMS color matching is available for all common awareness campaigns. Contact us for the best large quantity pricing!